NASA/IPAC Extragalactic Database General information retrieval on individual 阿普 objects. Retrieved on 2006-07-03, 2006-07-12, 2006-07-14, 2006-07-16, 2006-07-17, 2006-07-18, 2006-07-19, 2006-07-20, 2006-07-24, 2006-07-25, 2006-07-26, 2006-07-27, 2006-07-31, 2006-08-02, 2006-08-08, 2006-08-10, 2006-08-13. ^ 1.0 1.1 NASA/IPAC Extragalactic Database. Results for NGC 2857. [2006-07-16]. ^ 2.00 2.01 2.02 2.03 2.04 2.05 2.06 2.07 2.08 2.09 2.10 2.11 2.12 2.13 A. Sandage, J. Bedke. Carnegie Atlas of Galaxies. Washington, D.C.: Carnegie Institution of Washington. 1994. ISBN 0-87279-667-1. ^ 3.0 3.1 NASA/IPAC Extragalactic Database. Results for NGC 6365. [2006-07-12]. ^ NASA/IPAC Extragalactic Database. Results for IC 167. [2006-07-12]. ^ NASA/IPAC Extragalactic Database. Results for UGC 10770. [2006-07-12]. ^ NASA/IPAC Extragalactic Database. Results for Arp 45. [2006-07-14]. ^ NASA/IPAC Extragalactic Database. Results for 阿普 99. [2006-07-17]. ^ NASA/IPAC Extragalactic Database. Results for 阿普 103. [2006-07-18]. ^ NASA/IPAC Extragalactic Database. Results for 阿普 111. [2006-07-18]. ^ NASA/IPAC Extragalactic Database. Results for NGC 70. [2006-07-19]. ^ NASA/IPAC Extragalactic Database. Results for 阿普 115. [2006-07-19]. ^ 14.0 14.1 NASA/IPAC Extragalactic Database. Results for NGC 4015. [2006-07-20]. ^ 15.0 15.1 R. Lynds, A. Toomre. On the interpretation of ring galaxies : the binary ring system II Hz4. Astrophysical Journal. 1976, 209: 328–388. ^ NASA/IPAC Extragalactic Database. Results for Arp 139. [2006-07-20]. ^ NASA/IPAC Extragalactic Database. Results for Arp 140. [2006-07-20]. ^ NASA/IPAC Extragalactic Database. Results for Arp 141. [2006-07-20]. ^ NASA/IPAC Extragalactic Database. Results for Arp 142. [2006-07-20]. ^ NASA/IPAC Extragalactic Database. Results for Arp 143. [2006-07-20]. ^ NASA/IPAC Extragalactic Database. Results for Arp 144. [2006-07-20]. ^ NASA/IPAC Extragalactic Database. Results for Arp 145. [2006-07-20]. ^ 23.0 23.1 NASA/IPAC Extragalactic Database. Results for Arp 151. [2006-07-24]. ^ 24.0 24.1 NASA/IPAC Extragalactic Database. Results for M87. [2006-07-24]. ^ NASA/IPAC Extragalactic Database. Results for IC 803. [2006-07-24]. ^ NASA/IPAC Extragalactic Database. Results for NGC 7609. [2006-07-24]. ^ 27.0 27.1 NASA/IPAC Extragalactic Database. Results for NGC 4747. [2006-07-24]. ^ NASA/IPAC Extragalactic Database. Results for NGC 5128. [2006-07-24]. ^ NASA/IPAC Extragalactic Database. Results for NGC 1316. [2006-07-24]. ^ 30.0 30.1 NASA/IPAC Extragalactic Database. Results for NGC 4670. [2006-07-25]. ^ NASA/IPAC Extragalactic Database. Results for Arp 169. [2006-07-25]. ^ NASA/IPAC Extragalactic Database. Results for 阿普 175. [2006-07-25]. ^ NASA/IPAC Extragalactic Database. Results for Arp 176. [2006-07-25]. ^ NASA/IPAC Extragalactic Database. Results for 阿普 178. [2006-07-25]. ^ NASA/IPAC Extragalactic Database. Results for Arp 180. [2006-07-26]. ^ NASA/IPAC Extragalactic Database. Results for Arp 181. [2006-07-26]. ^ NASA/IPAC Extragalactic Database. Results for Arp 182. [2006-07-26]. ^ NASA/IPAC Extragalactic Database. Results for UGC 8560. [2006-07-26]. ^ NASA/IPAC Extragalactic Database. Results for NGC 1961. [2006-07-26]. ^ NASA/IPAC Extragalactic Database. Results for NGC 6217. [2006-07-26]. ^ NASA/IPAC Extragalactic Database. Results for NGC 1614. [2006-07-26]. ^ NASA/IPAC Extragalactic Database. Results for UGC 2320. [2006-07-26]. ^ NASA/IPAC Extragalactic Database. Results for UGC 6175. [2006-07-26]. ^ NASA/IPAC Extragalactic Database. Results for NGC3303. [2006-07-26]. ^ 45.0 45.1 NASA/IPAC Extragalactic Database. Results for NGC 3712. [2006-07-27]. ^ NASA/IPAC Extragalactic Database. Results for Arp 194. [2006-07-27]. ^ NASA/IPAC Extragalactic Database. Results for Arp 195. [2006-07-27]. ^ NASA/IPAC Extragalactic Database. Results for Arp 196. [2006-07-27]. ^ NASA/IPAC Extragalactic Database. Results for Arp 197. [2006-07-27]. ^ NASA/IPAC Extragalactic Database. Results for Arp 198. [2006-07-27]. ^ NASA/IPAC Extragalactic Database. Results for Arp 199. [2006-07-27]. ^ NASA/IPAC Extragalactic Database. Results for NGC 1134. [2006-07-27]. ^ NASA/IPAC Extragalactic Database. Results for Arp 201. [2006-07-27]. ^ NASA/IPAC Extragalactic Database. Results for Arp 202. [2006-07-27]. ^ NASA/IPAC Extragalactic Database. Results for Arp 204. [2006-07-27]. ^ NASA/IPAC Extragalactic Database. Results for Arp 205. [2006-07-27]. ^ NASA/IPAC Extragalactic Database. Results for Arp 206. [2006-07-27]. ^ NASA/IPAC Extragalactic Database. Results for Arp 207. [2006-07-27]. ^ NASA/IPAC Extragalactic Database. Results for Arp 208. [2006-07-27]. ^ NASA/IPAC Extragalactic Database. Results for Arp 209. [2006-07-28]. ^ NASA/IPAC Extragalactic Database. Results for NGC 1569. [2006-07-28]. ^ NASA/IPAC Extragalactic Database. Results for UGCA 290. [2006-07-28]. ^ NASA/IPAC Extragalactic Database. Results for NGC 7625. [2006-07-28]. ^ NASA/IPAC Extragalactic Database. Results for IC 356. [2006-07-28]. ^ NASA/IPAC Extragalactic Database. Results for NGC 3718. [2006-07-28]. ^ NASA/IPAC Extragalactic Database. Results for Arp 216. [2006-07-27]. ^ NASA/IPAC Extragalactic Database. Results for NGC 3310. [2006-07-27]. ^ NASA/IPAC Extragalactic Database. Results for Arp 218. [2006-07-27]. ^ NASA/IPAC Extragalactic Database. Results for Arp 219. [2006-07-27]. ^ NASA/IPAC Extragalactic Database. Results for Arp 221. [2006-07-31]. ^ NASA/IPAC Extragalactic Database. Results for Arp 227. [2006-07-31]. ^ NASA/IPAC Extragalactic Database. Results for IC 162. [2006-07-31]. ^ NASA/IPAC Extragalactic Database. Results for Arp 229. [2006-07-31]. ^ NASA/IPAC Extragalactic Database. Results for IC 51. [2006-07-31]. ^ NASA/IPAC Extragalactic Database. Results for NGC 2911. [2006-08-10]. ^ NASA/IPAC Extragalactic Database. Results for UGC 5720. [2006-08-02]. ^ NASA/IPAC Extragalactic Database. Results for NGC 3738. [2006-08-02]. ^ NASA/IPAC Extragalactic Database. Results for NGC 14. [2006-08-02]. ^ NASA/IPAC Extragalactic Database. Results for IC 1623. [2006-08-02]. ^ NASA/IPAC Extragalactic Database. Results for UGC 5044. [2006-08-02]. ^ NASA/IPAC Extragalactic Database. Results for UGC 8355. [2006-08-02]. ^ NASA/IPAC Extragalactic Database. Results for Arp 239. [2006-08-02]. ^ NASA/IPAC Extragalactic Database. Results for Arp 240. [2006-08-02]. ^ NASA/IPAC Extragalactic Database. Results for UGC 9425. [2006-08-02]. ^ NASA/IPAC Extragalactic Database. Results for NGC 4676. [2006-08-02]. ^ NASA/IPAC Extragalactic Database. Results for NGC 2623. [2006-08-02]. ^ NASA/IPAC Extragalactic Database. Results for Arp 244. [2006-08-02]. ^ NASA/IPAC Extragalactic Database. Results for Arp 245. [2006-08-02]. ^ NASA/IPAC Extragalactic Database. Results for Arp 246. [2006-08-02]. ^ NASA/IPAC Extragalactic Database. Results for UGC 4383. [2006-08-02]. ^ NASA/IPAC Extragalactic Database. Results for Arp 248. [2006-08-02]. ^ NASA/IPAC Extragalactic Database. Results for UGC 12891. [2006-08-02]. ^ NASA/IPAC Extragalactic Database. Results for Arp 251. [2006-08-02]. ^ NASA/IPAC Extragalactic Database. Results for Arp 252. [2006-08-02]. ^ NASA/IPAC Extragalactic Database. Results for Arp 253. [2006-08-02]. ^ NASA/IPAC Extragalactic Database. Results for NGC 5917. [2006-08-02]. ^ NASA/IPAC Extragalactic Database. Results for UGC 5304. [2006-08-02]. ^ NASA/IPAC Extragalactic Database. Results for Arp 256. [2006-08-02]. ^ NASA/IPAC Extragalactic Database. Results for UGC 4836. [2006-08-07]. ^ NASA/IPAC Extragalactic Database. Results for UGC 2140. [2006-08-07]. ^ NASA/IPAC Extragalactic Database. Results for NGC 7140. [2006-08-07]. ^ NASA/IPAC Extragalactic Database. Results for UGC 7230. [2006-08-07]. ^ NASA/IPAC Extragalactic Database. Results for Arp 261. [2006-08-07]. ^ NASA/IPAC Extragalactic Database. Results for Arp 262. [2006-08-07]. ^ NASA/IPAC Extragalactic Database. Results for NGC 3239. [2006-08-07]. ^ NASA/IPAC Extragalactic Database. Results for NGC 3104. [2006-08-07]. ^ NASA/IPAC Extragalactic Database. Results for IC 3862. [2006-08-07]. ^ NASA/IPAC Extragalactic Database. 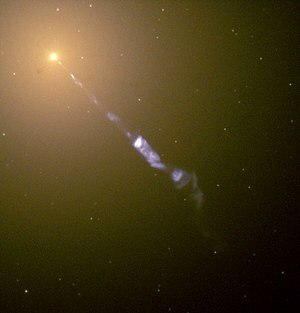 Results for NGC 4861. [2006-08-07]. ^ NASA/IPAC Extragalactic Database. Results for UGC 5746. [2006-08-07]. ^ NASA/IPAC Extragalactic Database. Results for UGC 4305. [2006-08-07]. ^ 111.0 111.1 NASA/IPAC Extragalactic Database. Results for NGC 5679. [2006-08-10]. ^ NASA/IPAC Extragalactic Database. Results for Arp 269. [2006-08-10]. ^ NASA/IPAC Extragalactic Database. Results for Arp 270. [2006-08-10]. ^ NASA/IPAC Extragalactic Database. Results for Arp 271. [2006-08-10]. ^ NASA/IPAC Extragalactic Database. Results for UGC 10186. [2006-08-10]. ^ NASA/IPAC Extragalactic Database. Results for Arp 273. [2006-08-10]. ^ NASA/IPAC Extragalactic Database. Results for NGC 2881. [2006-08-10]. ^ NASA/IPAC Extragalactic Database. Results for Arp 276. [2006-08-10]. ^ NASA/IPAC Extragalactic Database. Results for Arp 277. [2006-08-10]. ^ NASA/IPAC Extragalactic Database. Results for NGC 7253. [2006-08-10]. ^ NASA/IPAC Extragalactic Database. Results for Arp 279. [2006-08-10]. ^ NASA/IPAC Extragalactic Database. Results for Arp 280. [2006-08-10]. ^ NASA/IPAC Extragalactic Database. Results for Arp 281. [2006-08-10]. ^ NASA/IPAC Extragalactic Database. Results for Arp 282. [2006-08-10]. ^ NASA/IPAC Extragalactic Database. Results for Arp 283. [2006-08-10]. ^ NASA/IPAC Extragalactic Database. Results for Arp 284. [2006-08-10]. ^ NASA/IPAC Extragalactic Database. Results for Arp 285. [2006-08-10]. ^ NASA/IPAC Extragalactic Database. Results for Arp 287. [2006-08-13]. ^ NASA/IPAC Extragalactic Database. Results for Arp 288. [2006-08-13]. ^ NASA/IPAC Extragalactic Database. Results for NGC 3981. [2006-08-13]. ^ NASA/IPAC Extragalactic Database. Results for Arp 290. [2006-08-13]. ^ NASA/IPAC Extragalactic Database. Results for UGC 5832. [2006-08-13]. ^ NASA/IPAC Extragalactic Database. Results for IC 575. [2006-08-13]. ^ NASA/IPAC Extragalactic Database. Results for Arp 293. [2006-08-13]. ^ NASA/IPAC Extragalactic Database. Results for Arp 294. [2006-08-13]. ^ NASA/IPAC Extragalactic Database. Results for Arp 295. [2006-08-13]. ^ NASA/IPAC Extragalactic Database. Results for Arp 297. [2006-08-13]. ^ NASA/IPAC Extragalactic Database. Results for Arp 298. [2006-08-21]. ^ NASA/IPAC Extragalactic Database. Results for Arp 299. [2006-08-21]. ^ NASA/IPAC Extragalactic Database. Results for Arp 300. [2006-08-21]. ^ NASA/IPAC Extragalactic Database. Results for Arp 301. [2006-08-21]. ^ NASA/IPAC Extragalactic Database. Results for UGC 9618. [2006-08-21]. ^ NASA/IPAC Extragalactic Database. Results for Arp 303. [2006-08-21]. ^ NASA/IPAC Extragalactic Database. Results for Arp 304. [2006-08-21]. ^ NASA/IPAC Extragalactic Database. Results for Arp 305. [2006-08-21]. ^ NASA/IPAC Extragalactic Database. Results for Arp 306. [2006-08-21]. ^ NASA/IPAC Extragalactic Database. Results for Arp 307. [2006-08-21]. ^ NASA/IPAC Extragalactic Database. Results for Arp 308. [2006-08-21]. ^ NASA/IPAC Extragalactic Database. Results for Arp 309. [2006-08-21]. ^ NASA/IPAC Extragalactic Database. Results for Arp 310. [2006-08-21].